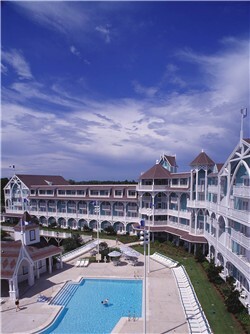 Leisure, elegance, and romance converge at Disney's Beach Club Villas, a charming New England-style Resort hotel. 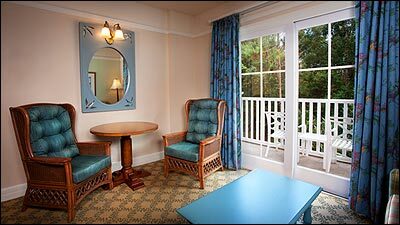 During your stay, enjoy the outstanding amenities, recreation, and dining available at Disney's Beach Club Resort and the adjacent Yacht Club Resort. 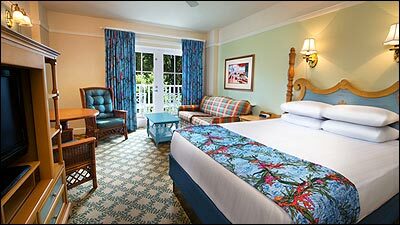 Best of all, this Resort hotel is conveniently located within walking distance of Epcot and a boat ride away from Disney's Hollywood Studios. 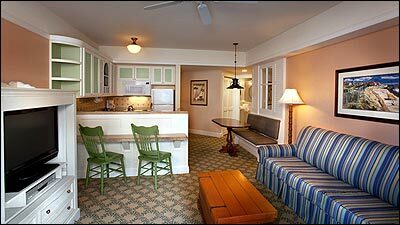 Beach Club Villas offer Studio, 1, and 2-Bedroom vacation homes. 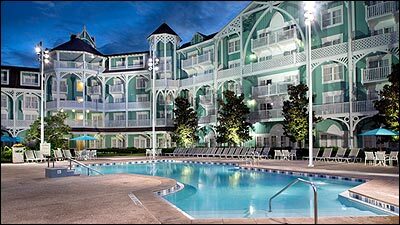 The Beach Club villas has its own pool area, but all other amenities are located at the Beach Club Resort. 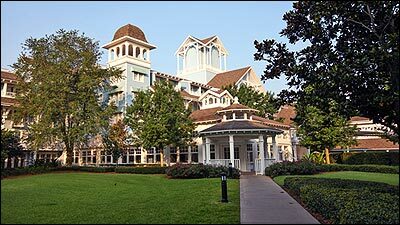 For dining and shopping information, please visit the Beach Club Resort page! 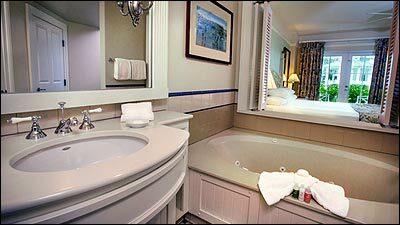 Swimming: In addition to Stormalong Bay, the Beach Club villas has a private pool and spa. Please note, there is no lifeguard on duty at this pool. 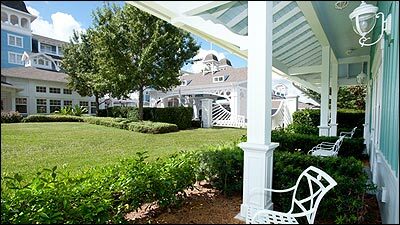 For additional recreation information, including arcade, fitness center, watercraft rentals, and more, visit the Beach Club Resort page! 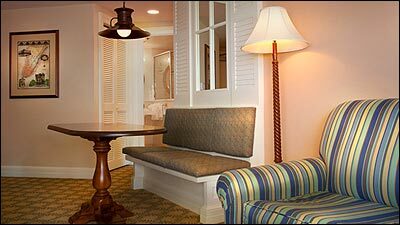 Guests at Beach Club Villas will utilize the transportation available at the Beach Club Resort. 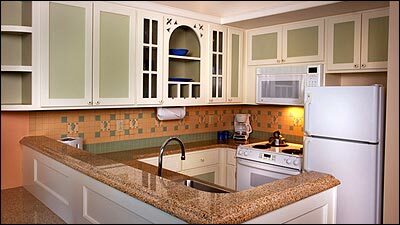 Beach Club Villas offers Studio, 1, and 2-Bedroom units. 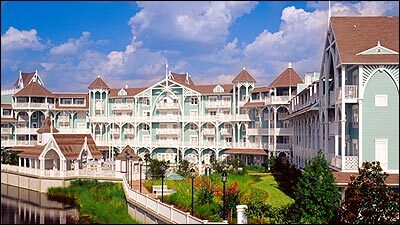 All units have views of Disney's Beach Club Resort, Stormalong Bay, Woods, Pool or Courtyard. 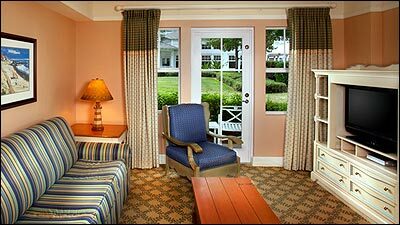 Views can be requested, but not specifically booked. 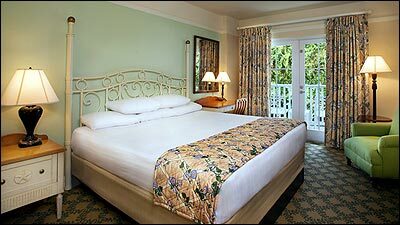 Studios feature one queen bed and a queen sized sleeper sofa. 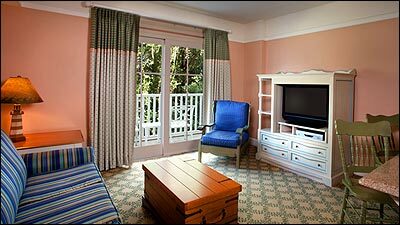 Studios can accommodate up to 4 guests plus one child under 3. These units have a ceiling fan. 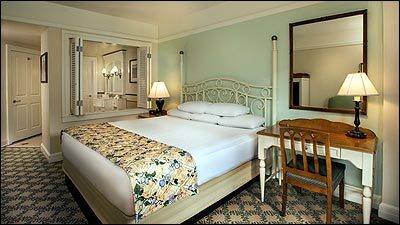 These villas have a bedroom with a king sized bed and a queen sized sleeper sofa. 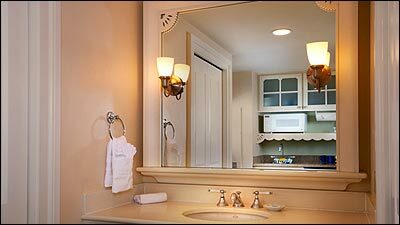 These units have 1 bathroom. 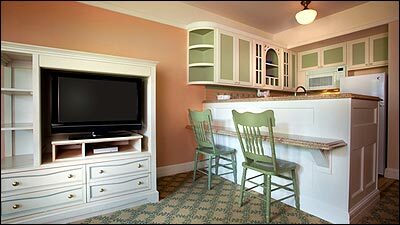 Up to 4 guests plus a child under 3 can be accommodated in these units. 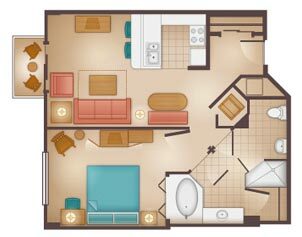 These units have ceiling fans in the living room and bedrooms. 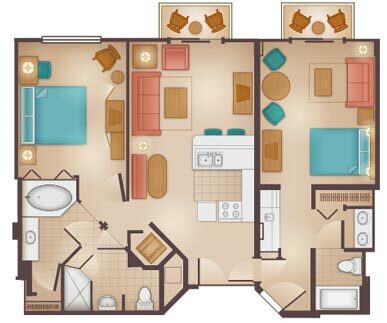 2 bedroom villas can be a combination of a studio and 1 bedroom villa, with a connecting door (lock-off), or a dedicted 2 bedroom unit. 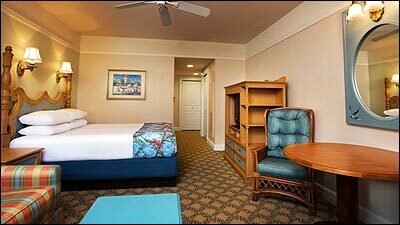 Dedicated units have a king bed in one bedroom and 2 queen beds in the second bedroom. 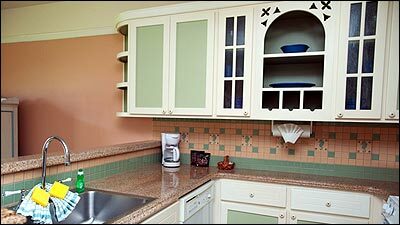 2 bedroom villas can accommodate up to 8 guests. 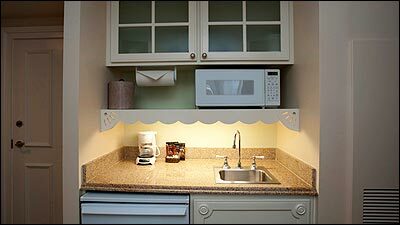 These units have ceiling fans in the living room and bedrooms.